As a service to our patients, we are pleased to offer dental financing through CareCredit, the nations leading patient payment program. Below you will find more information about our dental financing program. Interested in applying? 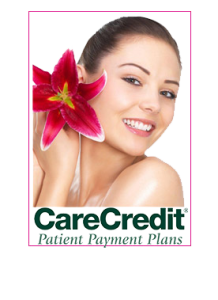 Simply download, print and complete a CareCredit Application and bring it in on your next dental appointment. Click Here To Apply for CareCredit or see our staff for more details.